Ok. It would be awesome if we could go on a trip to SE Asia or maybe Poland (no, seriously Poland is surprisingly cool), but it’s not possible this year. So instead, we are going on an adventure in own”backyard”. We are hiking the Timberline Trail. It’s a little over 40 miles long and takes us on a complete loop around Mt. Hood. There will be amazing views. There will be possibly terrifying creek crossings. And there will be freeze dried food. 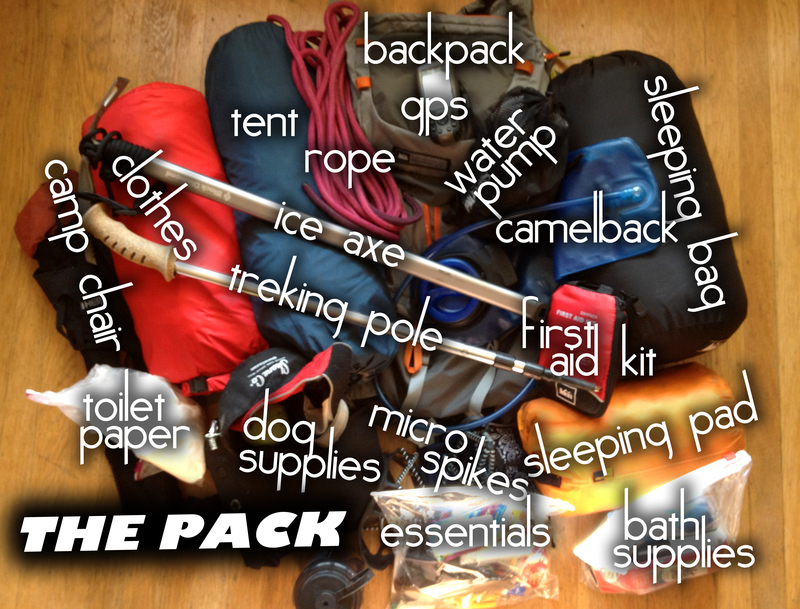 This is my first real backpacking trip… So I’m a little nervous about packing. I’m making a lot of lists. The trick is to take as little as possible while still having everything you need to survive and be prepared if anything unforeseen occurs. But this is also my vacation, I don’t want to be miserable and our inability to carry beer… leaves us with a high chance for misery. While I work on the booze situation, lets talk about what I’m wearing. I plan to wear the same pair of pants for all four day but with fresh changes underwater and socks for each day. 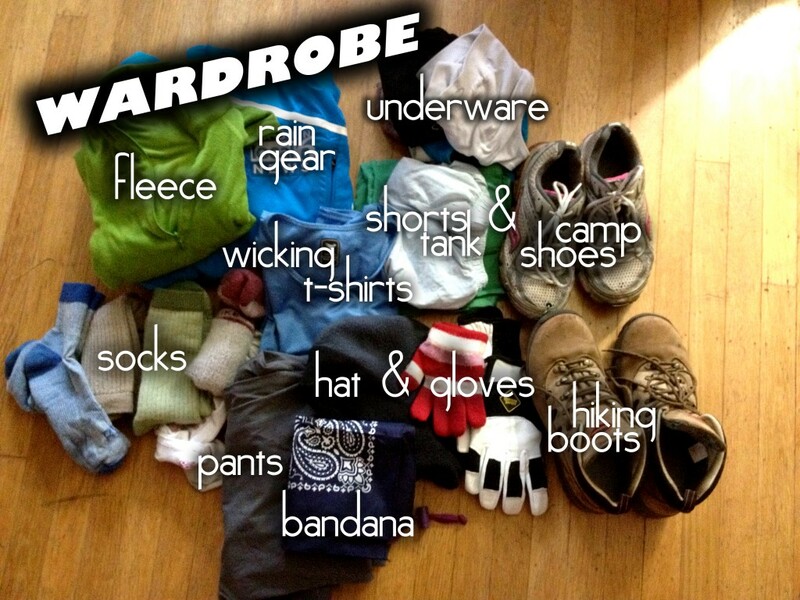 I’m bringing rain gear, avhat and gloves and a pair of running shoes to wear for creek crossings. Oh, and one extra tank and shorts for sleeping, hanging out and extreme heat. Since taking this photo, I’ve decided to swap out the winter coat for rain gear. One perk of my job is working with a team of meteorologist. They say the weather should be sunny with lows of 50 at night, practically perfect. Here’s my bag of “essentials”. It should really be called the “when things go really wrong” bag, but it’s not quite as catchy. 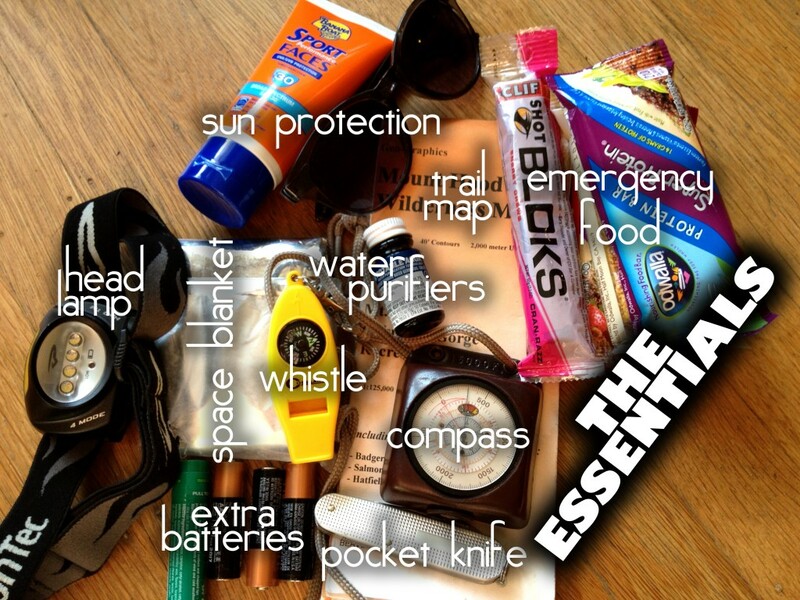 Basically it’s a kid of things that will help you survive longer if you get lost, stranded or hurt far from home. Before we leave a cell phone will be added to this kit. To sleep, we are taking a two person tent (good thing we have a small dog that will easily fit inside), sleeping bags, and pads. Sleeping pads are kind ov a luxury item but I really want to get a good night sleep. Another luxury, that’s packed right now, but I might jettison before we hit the trail is a camp chair. Its small and light weight, but every ounce counts. That’s all the “gear”, I’ll show you my food plan in the next post.